Every religious community has been affected by the "sexual revolution". The conflict between contemporary attitudes and traditional practices has led to major divisions and controversies, particularly when focused on issues such as homosexuality. 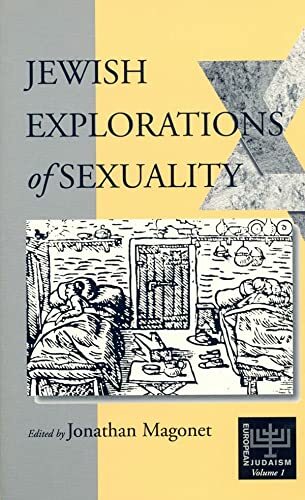 This is the first attempt to take abroad look at both the Jewish pioneers of modern sexual thought and the impact of the revolution on our understanding of past Jewish practices and culture. For the first time the writings of leading scholars in the field from the United States and the United Kingdom have been brought together to explore these topics, and the book is essential reading for those academically or professionally engaged in areas ranging from counseling and pastoral work, to religious and social studies. Jonathan Magonet studied at the Universities of London and Heidelberg, where he received his PhD, and at Leo Baeck College, where he received his Rabbinic ordination and subsequently lectured and whose Principal he has been since 1985.